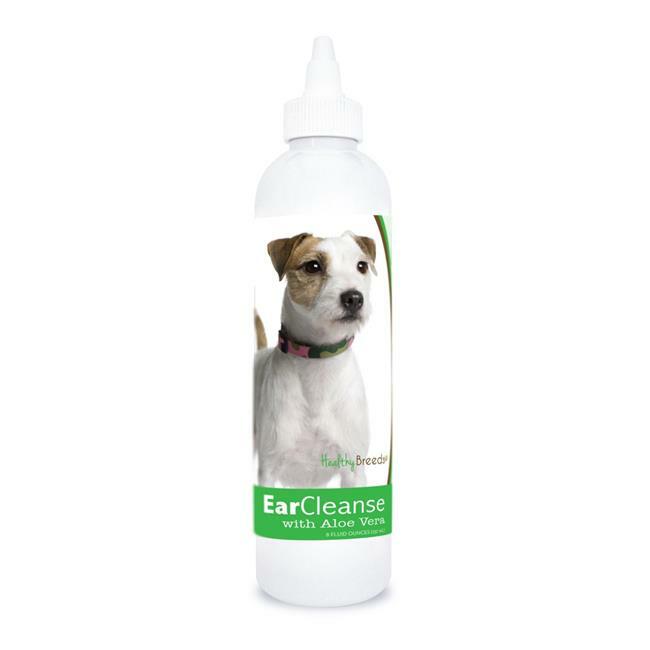 Healthy Breeds Ear Cleanse with Aloe Vera for dogs is a veterinarian-formulated ear cleanser scientifically developed to deodorize, gently clean, dry and acidify the ear canal. A build up of wax, dirt and other substances can result in odors, excess scratching, itching and ultimately ear infections. Ear Cleanse for dogs helps to safely clean your pet's ears and avoid potential problems before they start. Plus, you will love the pleasant Cucumber Melon scent! Will not sting or burn and gentle enough for daily use. Ideal for dogs and of any age especially breeds with long ears. Great for hunting and working dogs. Always apply after bathing or swimming.